As part of Friendship Week which was held in February the pupils of 4th class worked together to design pictures with the overall theme of Friendship. 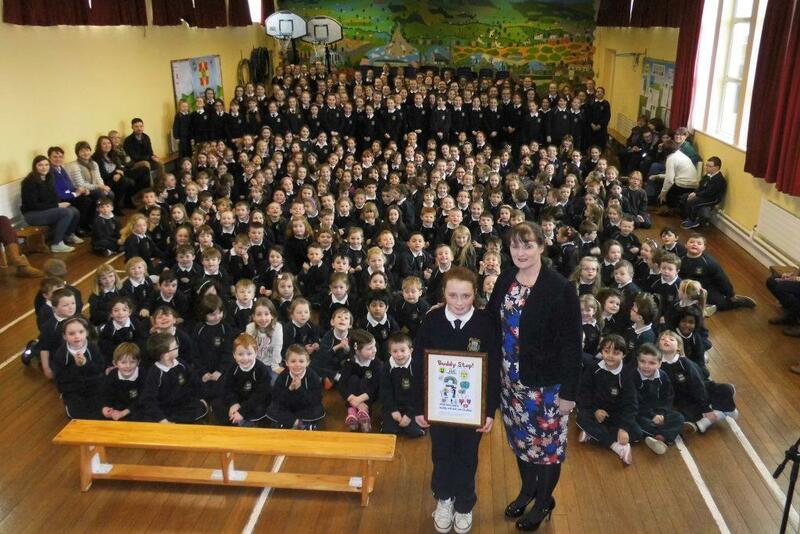 The winning picture was designed by Kerri Sampson. 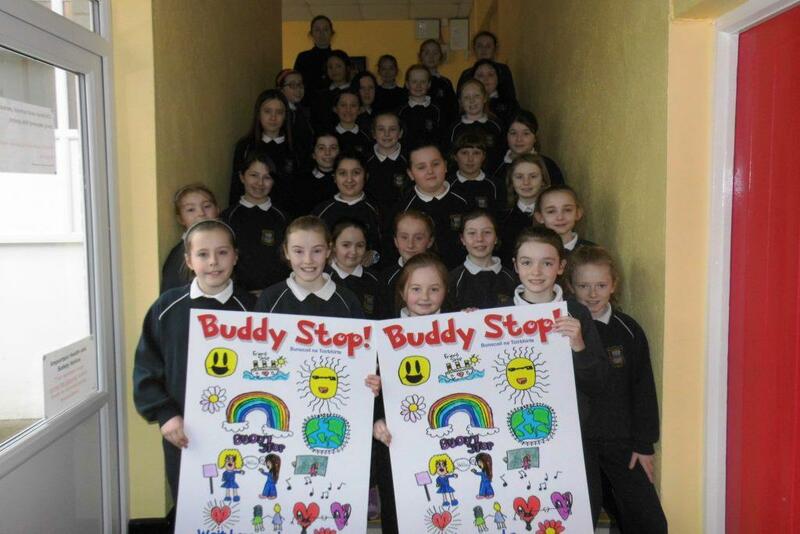 This picture was then made into a poster to be placed around the school playgrounds at areas called 'Buddy Stops'. 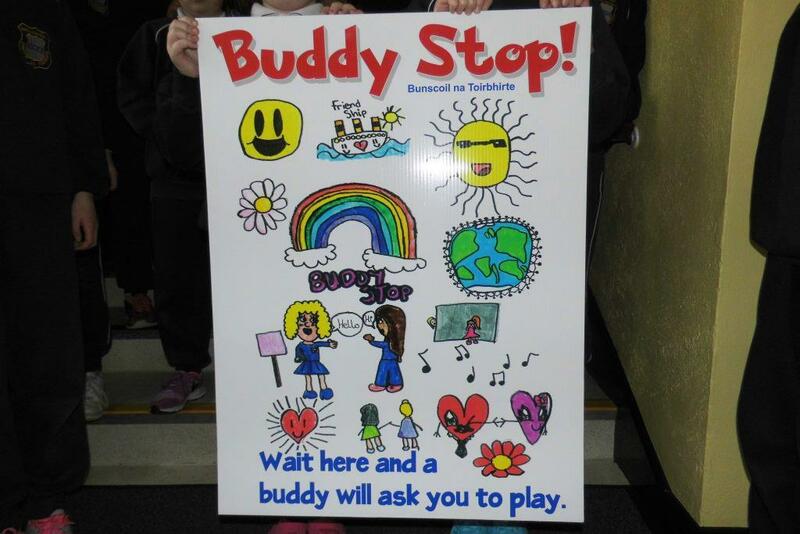 A Buddy Stop is a place where pupils who have nobody to play with or who have lost their friends in the yard stand, and other children go to them and ask them to join with them. Also as part of Friendship week we held an assembly in the Halla where the girls from 4th sang the song they had composed on the theme of Friendship.